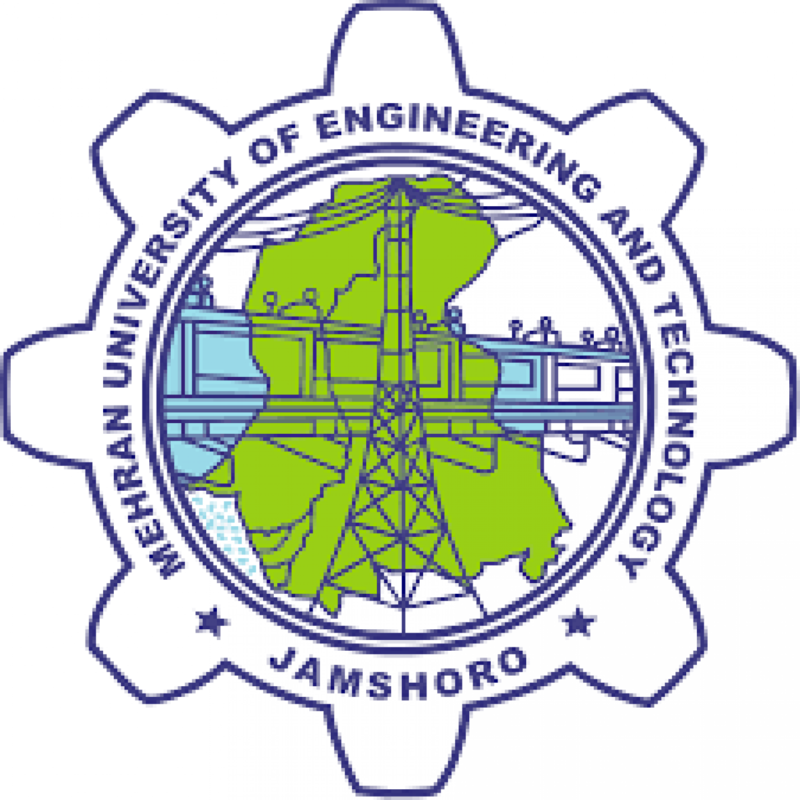 Regulations regarding the Courses of Studies for the Bachelors Degree Programs of the Mehran University of Engineering and Technology, under Section 47(1)(n) of the Act 1977. Short Title: These Regulations may be called the Mehran University of Engineering and Technology Bachelor of Degree Courses Regulations 2012 repealing such regulations framed by the University authorities (if any). These Regulations shall be subject to the Mehran University of Engineering and Technology General scheme of Studies for the Bachelor’s degree courses Statutes 2012. Commencement: These Regulations shall be deemed to have come into force with effect from Jan. 1st, 2013 (applicable to 13 Batch & onwards). In these Regulations unless otherwise expressly stated. i. “University” means the Mehran University of Engineering and Technology, Jamshoro. ii. “Academic Year” means the Academic Year of the University. iii. “Semester” means a Period of 22 weeks out of an academic year for teaching and evaluation and / or guidance of the students of the University. iv. “Vice-Chancellor”, “Pro Vice Chancellor”, “Dean”, “Director”, “Chairman”, “Teacher” and “Controller of Examinations” means respectively the vice- Chancellor, the Pro Vice Chancellor, the Dean of Faculty, the Director of Institute, the Chairman of Teaching Department, the Teacher and the Controller of Examinations of the University. v. “Internal Examiner” means the teacher/person appointed by the competent authority, who has been teaching the subject to the regular class/section during the academic year for which the examination is being conducted. The courses of studies for the degree of Bachelor of Engineering (B.E), Bachelor of City & Regional Planning (B.CRP) and Bachelor of Architecture (B.Arch) shall be as given in the Regulations, which follow, provided that these Regulations shall be subject to change as approved by the Academic Council of the University from time to time. (a) First year, Second Year, Third Year and Fourth Year for the degree of the Bachelor of Engineering (B.E) and Bachelor of City and Regional Planning (B.CRP) will each be of one year duration (Total 4 years) each comprising of two semesters. Total Credit hours for all 4 years shall be 130-136. (b) First Year, Second Year, Third Year, Fourth Year and Fifth Year for the degree of Bachelor of Architecture (B.Arch) will each be of one year duration (Total 5 years) & each comprising of two Semesters. Total Credit Hours for all 5 years shall be 160-170. (c) There shall be two semesters in an academic year. The duration of teaching time in each semester shall be 16 weeks. The semester starting with the commencement of the academic year will be called the ‘First Semester’ and the following semester will be called the ‘Second Semester’. Each degree program shall carry a number of approved courses and each course shall be assigned a number of Credit Hours. The Credit Hours per semester for each discipline shall be 15-18. The details of the course, marks / grades assigned and the condition for passing examinations shall be as prescribed by the Mehran University of Engineering and Technology Bachelors Degree Regulations. Each Department/ Institute will have a Departmental Committee consisting of three senior most teachers of the Department / Institute including Chairman/ Director to assess the progress of the students during the semester and the results of all the examinations including the final semester examination. In case of any discrepancy in the results, during scanning process, the concerned committee will seek approval through the Dean and the Pro Vice Chancellor from the Vice Chancellor for rechecking the Scripts by a Subject expert (other than the Subject teacher). The final recommendations of the Departmental Committee concerning the results will be submitted through the concerned Dean and Pro Vice Chancellor to the Vice Chancellor for consideration and approval. i. Minimum number of contact hours for a theory subject of 3 CHs per semester is 42. Note: For the courses carrying other than 100 & 50 marks the distribution of marks will be accordingly. Fraction is to be considered as a whole number. Subjects carrying more than 100 marks in Theory/Practical will be awarded grades accordingly. The results will be prepared on the basis of Grade point Average (G.P.A.). (i) A student should have at least 75% attendance to appear in the Final Semester Examination. basis of an application to be scrutinized by Director/ Chairman concerned and routed through respective Dean concerned. (iii) The eligibility attendance of Theory/ Practical for late admitted students to First Semester of First Year only shall be calculated from the date of admission. The Lab’s carrying marks other than 50 or 100 the distribution of attendance marks will be accordingly. (i)10/5 marks of assignment for subjects carrying 100/50 marks shall be awarded by the teacher concerned after conducting 3/2 class tests (MCQs type) and 2/1 best of 3/2 class tests shall be counted toward award of 10/5 marks. The entire record of evaluated class tests shall be submitted by the concerned subject teacher to Examinations Department at the time of submission of final results. (ii) At the end of each semester, the marks of attendance, sessional work, and lab work secured by the student in Theory and Practical of the concerned subject shall be announced by the concerned subject teacher by displaying on the Notice Board. (iii) Mid Semester Examination will be conducted by the Examination Department in collaboration with the concerned Department/ Institute. (iv) The mid-semester examination will be conducted only for theoretical subjects. (v) The time duration for mid semester examination will be 1 hour for 3 CHs course and each question paper will contain 3 questions with a choice to attempt any two, whereas the time duration for 2 CHs course examination will be 45 minutes and the question paper will contain 3 questions with a choice to attempt any two. (vi) The marks of the mid semester examination question paper of 3 CHs will be 20, and for the 2 CHs course will be 10. (vii) No MCQ’s, fill-in the blanks or objective type questions will be given in mid semester examination. The questions shall be descriptive. (viii) The scripts of all assignments will be returned and those of the tests and mid-semester examination will be shown to the students after evaluation. Each blank page / gaps in the scripts will be stamped/ lines drawn, by the teacher concerned. (ix) The marks of each test and mid-semester examination will be displayed and solutions will be discussed in the class room immediately after evaluation. If any student is not satisfied with the evaluation, he/she may convey this to the Chairman of the concerned department within 7 days of the result thus displayed and the matter will then be looked into by the Departmental Committee, whose decision will be final. Any such objections after the expiry of 7 days will not be accepted. A copy of the Marks of the tests and mid-semester will be deposited by the teacher in the department office immediately after the announcement of the results. (x) Final Semester Examination will be of 3-hours duration for 3 CHs course and each question paper will contain 5 questions without any choice. Similarly, Final Semester Examination will be of 2-hours duration for 2 CHs course and each question paper will contain 3 questions without any choice. Final semester examination will be conducted from the whole course. (xi) The teachers will prepare 3 copies of the result of each course separately at the end of each semester (attendance, test, mid semester examination. Assignments and final semester examination) on the prescribed proforma and shall forward two copies to the Controller of Examinations. (xii) The cumulative result (including all the marks of attendance, assignments, tests, mid-semester examination and final semester examination) of each semester of a year will be announced by the Controller of Examinations. (i)Question Papers for Semester Examination shall be drawn by the teachers of concerned subjects as Internal Examiners, for all departments. In case of more than one subject teacher of a particular subject in the same department with assigned sections, the respective teacher will draw his own paper. (ii) There will be no external moderation of the Question Paper by the External examiner. (iv) The objective type Question Paper of Practical Examination shall be set by the Internal Examiner. (v) The following applicable guidelines parameters shall be included by the Examiners for setting of objective type Question Papers. Fill in the Blanks, True or False, Multiple Choice Questions (MCQs), Definition of Technical Terms, Drawing Skill Oriented Questions and Interpretation of Diagrams. (vi) External examination system will be only for Practical Viva-voce and Project/Thesis/Design Examination . The scripts of the Theory Examination will be assessed by the respective Internal Examiner. The Internal Examiner will send the award lists (in triplicate) to the Controller of Examinations. (i) The Practical and Viva-Voce Examination shall be conducted jointly by the Internal & External Examiners approved by the Vice-Chancellor. The signature sheets of examines for conduct of Objective Type Test and Viva-Voce/Jury shall be maintained separately and the same shall be submitted to the Examinations Department for office record by the Examiners. The award lists signed by the both examiners shall be submitted in triplicate under sealed cover to the Controller of Examinations. (ii) The Internal Examiner as well as External Examiner shall both submit separate report under sealed confidential cover to the Controller of Examinations of the University regarding the standard of the examination taken by them. (iii) In case External Examiner No.1 is not available on the scheduled date(s) of the examination the Examiner No.2 shall be contacted and called for examination. (iv) The Chairman/ Director of the Department/Institute or his/her nominee having expertise with related subject shall act as an alternate if External Examiner No. 1 and 2 are not available on the scheduled date(s), however the same alternate assignments be made in case the concerned subject Teacher /Internal Examiner is not available in exceptional case due to some serious problem. (i) A committee comprising of the Dean of the concerned Faculty, the Chairman/Director, Co-Director of the concerned Department/ Institute and the concerned teacher of the subject, who if necessary, for reasons of checking the quality and consistency of assessment of scripts, would at random re-assess atleast 15% of the scripts and in case gross discrepancy is detected, the Committee shall be empowered to take appropriate action with approval of the Vice-Chancellor. (ii) Prior to sending ledgers of the results of Regular/Supplementary Examination of B.E/B.CRP/B.Arch. to the Vice-Chancellor for his signature, the overall tabulated and checked ledgers shall be pursued and scanned by the Dean of concerned Faculty and the Chairman/Director, Co-Director of concerned Department/Institute . (i) During the semester immediately preceding the examination, he/she has been on the roll list of the concerned Department/Institute of the concerned Faculty. (ii) He/she has submitted his/her Examination Form duly filled-in completely along with the prescribed fee to the Controller of Examinations within the due date announced by the University. (iii) He/she has produced the following certificates duly signed by the Director, Co-Director/Chairman of the Institute/Department concerned. (i) A candidate having passed all the Heads of 1st and 2nd semesters of First to Final Year B.E/B.CRP/B.Arch. with minimum 50% in Theory and 50% in practical shall be declared “PASS” or otherwise. The pass percentage for Project/Thesis and Research & Development Project in the Final Year shall be 50% (A Theory or Practical would be treated as separate heads). (ii) A candidate having passed all the Heads of Both semesters from 1st to Final Year B.E/B.CRP/B.Arch. with minimum 50% aggregate marks shall be declared “PASS”. If any student is not able to get 50% aggregate marks even after having passed all the heads, he/she shall be promoted but must improve the Heads of his/her choice to secure at least 50% aggregate marks. (iii) A student who has secured minimum CGPA 2.00 in all the Semesters of 4 years in case of Engineering/ City & Regional Planning and 5 years in case of Architecture and has passed in all the subjects will be eligible for the award of degree of Bachelor of the Engineering / City & Regional Planning/ Architecture. (iv) A student failing in any or all Heads of a semester examination shall be declared to have failed in the examination. He/she shall be allowed to re-appear in the failing Head(s) in the next examination, if otherwise eligible as per rules. (i) A student will be promoted to the 2nd Semester of the first year provided he/she has completed minimum attendance requirement and filled up examination form and appeared in at least one of the Heads of the Final Semester examination (First Semester) (A Theory or Practical would be treated as separate Heads). (ii) A student will be promoted to the 1st Semester of the 2nd year (3rd Semester) provided he / she has obtained C-Grade or higher in atleast 50%. Heads (including minimum of 02 theory papers) of 1st Semester of First year in Regular Examination and has completed minimum attendance requirement of the 2nd Semester of the 1st year and has filled up the examination form and appeared in atleast one of the Heads of the Examinations (Second Semester).Benefits of the fraction will be given to the student. (iii) A student will be promoted to the 2nd Semester or the 2nd year (4th Semester) provided he/she has completed minimum attendance requirement or the 3rd Semester, filled up the examination form and appeared in atleast one head of the final Semester examination (Third Semester). (iv) A student will be promoted to the 1st Semester of the 3rd year (5th Semester) provided he/she has obtained C-Grade or higher in atleast 50% Heads (including minimum of 05 theory papers) of 1st year prior to start of classes of 5th Semester and has completed minimum attendance requirement of the 4th Semester, and has filled up the examination form and appeared in atleast one of the Heads of the Examinations (Fourth Semester). Benefits of the fraction will be given to the student. (v) A student will be promoted to the 2nd Semester of the 3rd year (6th Semester) provided he/she has completed minimum attendance requirement, filled up the examination form and appeared in atleast one of the Heads of the final Semester examination (Fifth Semester). (vi) A student will be promoted to the 1st semester of the 4th year (7th Semester) provided he/she has cleared all Heads of First Year secured minimum C.G.P.A of 2.00, obtained C-Grade or higher in atleast 50% Heads of Second Year (including 05 theory papers) prior to start of classes of 7th Semester, and has completed minimum attendance requirement of the 6th Semester and has filled up the examination form and appeared in atleast one of the Heads of the Examinations (Sixth Semester). (vii) A student will be promoted to the 2nd Semester of the 4th year (8th Semester) provided he/she has completed minimum attendance requirement, filled up the examination form and appeared in atleast one of the Heads of the final Semester examination (Seventh Semester). (viii) In case of Bachelor of Architecture a student will be promoted to the 1st Semester of the 5th year (9th Semester) provided he/she has cleared all Heads of First Year and Second Year secured minimum C.G.P.A of 2.00,obtained C-Grade or higher in atleast 50% of Third Year (including 05 theory Papers) prior to start of classes of 9th Semester, and has completed minimum attendance requirement of the 8th Semester and has filled up the examination form and appeared in atleast one of the Heads of the Examinations (Eighth Semester). Benefits of the fraction will be given to the student. A student shall be awarded degree of Bachelor of Engineering (B.E) or Bachelor of City & Regional Planning (B.CRP) or Bachelor off Architecture (B.Arch.) only after he /she has passed the examinations and cleared all the Heads of all the Semester with minimum 2.0 CGPA in each year in the maximum period of 07 (Seven) Calendar years for B.E and B.CRP and (08) eight Calendar years of B.Arch. The comprehensive Viva-Voce examination of the project/thesis work will be held at the completion or the last semester of the degree program. Success in the Viva-Voce will be compulsory for the degree. The (Chairman or the Department, the concerned teacher or the project together with at least one external examiner will constitute the viva-voce Committee. Student who has failed in the Viva-Voce will be given the benefit of appearing again in the subsequent Viva-Voce. The time limit for checking the answer scripts shall be 20 scripts per day plus one week, unless specified. The final award once received by the office of the Controller of Examinations shall not be liable to a subsequent change, except with the permission of the Vice-Chancellor. Retotalling of the marks shall be done on payment of prescribed fee per paper for a candidate who submits an application to the Controller of Examinations, through the Chairman, or Director/Co-Director of the concerned Department/Institute within two weeks from the date of announcement of result. Instructions in all courses and laboratories are carried out in English Language. These Regulations are subject to modification by the competent University authorities as may be felt appropriate in future. (i) Credit Hours (C.H) One Credit hour for a particular course is generally to be considered as one hour of teaching theory per week and for practical 1 C.H be considered as 3 contact hours. (G.P.A) = Sum of Quality Points divided by Sum of the Credit Hours. (C.G.P.A) = Sum of Quality Points for all the courses appeared divided by sum of the Credit Hours for all the courses appeared.